You won’t find a more experienced or analytical team—with over 45 successful years of buying and selling aircraft worldwide. 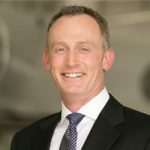 Jay Mesinger was the first aircraft broker to serve on the National Business Aviation Association (NBAA) Board through his role as the chairman of the Associate Member Advisory Council (AMAC). Jay served on AMAC for ten years and the NBAA board for six years with his terms on each, ending in 2013. We are currently members of the NBAA Leadership Council. Jay was formerly on the Customer Advisory Board of Airbus North America and Jet Aviation and now Josh is a member of the Jet Aviation CAB. 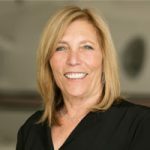 Sandra Mesinger, CFO, was a CPA by trade and has been in the aviation industry for 25 years, working with our clients to assist in cost of ownership analysis and valuations. In addition, Jay, Josh and Adam are members of Gulfstream’s “Key Players”, representing leaders in the industry. And Jay and Sandra are members of Bombardier’s “Influencers Group”. Mesinger Jet Sales is also a member of the European Business Aviation Association (EBAA) and the Colorado Aviation Business Association (CABA). Josh is on the Business Aviation Management Committee within NBAA. 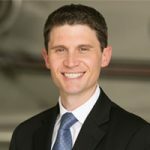 Adam was formerly a member of the StandardAero Customer Advisory Board and now, Andy Weibel, Technical Director, is a member. Everyone in our company has a passion for and commitment to our industry. Through every step of the process — whether it’s a listing, a showing, a viewing, an inspection or a closing — our team is there for every key moment of the transaction. We anticipate and respond to your needs, large or small. You don’t just get the know-how of one professional on your side. With Mesinger Jet Sales you get the collective result of a close-knit group of smart, results-driven professionals. I joined Mesinger Jet Sales in 2010 after a career in the entertainment industry. Attending NYU’s TISCH School for the Arts, I originally charted a course in filmmaking, and after graduating in 2002, I made the move to Los Angeles. I worked for the next eight years on movies and TV shows such as Something’s Gotta Give, Entourage and Ghost Whisperer. After years in the industry, I decided on a career change that allowed me the opportunity to work with my family and start my own family. My wife, Ayeisha, and I moved to Colorado to begin my career in aviation. I came to the business with life and work experiences with all different types of people and from all different regions of the country. Born in Houston, Texas, and also having lived in Santa Fe, New Mexico, New York, New York, Los Angeles, California, and Boulder, Colorado, I have learned to engage and understand people with an open mind and an understanding of different cultures and perspectives. As the Director of Business Development for Mesinger Jet Sales, my jobs include leading our market research and valuation efforts. In partnership with our CFO, Sandra Mesinger, she and I have created pricing strategies that are constantly being evolved to an ever-fluid marketplace. Our efforts have created shorter selling cycles with maximum returns for our sales clients as well as setting correct expectations and achieving great buys for our acquisition clients. Additionally, I directly handle some of our sales and acquisition projects. Information is power, and we work to provide the best data possible to our clients through extensive market research and detailed aircraft comparisons, whether they are buying or selling an aircraft. With the help of our technical director, I work to stay ahead of the curve on the details that affect aircraft values as we as an industry move in to the requirements for NextGen and future regulatory compliance, new communications systems and cabin upgrades. The data I collect in these regards gives our company the ability to filter and evaluate aircraft in a more efficient and productive manner. This in turn provides our clients with the knowledge that they need to make smart informed decisions about selling and/or acquiring an aircraft while not focusing solely on the price of a competitive or target aircraft but rather on the cumulative value. I communicate regularly with other brokers, dealers, manufacturers, attorneys and industry-valuation resources so that our company has a pulse on jet markets far beyond our competition. I have served as a member of the StandardAero Customer Advisory Board from 2015-2018. Outside of work, I enjoy spending time with my wife and our sons, Redding and Malone. We enjoy traveling, hiking, dancing and listening to old records of James Brown and Jackie Wilson. I look forward to a long career in aviation, where, like my family, I can contribute and give back, and I am very proud to be a part of the Mesinger Jet Sales organization. 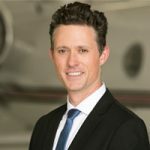 As Mesinger Jet Sales’ full-time Technical Director, Andy oversees the technical aspects of our aircraft sales and acquisition projects, ranging from managing pre-purchase evaluations to mission profile planning. The degree and pace of our industry’s technological advancement is breathtaking, which requires prudent effort to remain a step ahead. Andy’s inquisitive nature ensures that we are always asking the most appropriate technical questions, allowing our clients to make a well-informed decision. Andy’s passion for aviation began at sixteen years old with his first flight. The “flying bug” bit hard, so four years later he graduated Metropolitan State University of Denver with a Bachelor of Science Degree in Aviation Technology. Spending nearly seven years as a professional pilot flying a wide-variety of business jets, Andy gained valuable operational experience, including as Captain of a Falcon 2000. In addition to operational responsibilities, Andy worked closely with his director of maintenance to troubleshoot discrepancies and find solutions to minimize downtime and increase dispatch reliability. Andy is a proud member of the StandardAero Customer Advisory Board. Outside of aviation, time spent in automotive and real estate franchising sales further enhanced Andy’s understanding of the financial and business decisions that our clients must evaluate in the course of an aircraft transaction. With the Rocky Mountains at his doorstep, Andy enjoys spending time camping, hiking, biking, and just about anything Colorado has to offer. Jay Mesinger is the CEO and Founder of Mesinger Jet Sales, an international aircraft brokerage firm, with 45 years of experience in the aviation industry. Mesinger Jet Sales has modernized the formula for buying and selling aircraft and provides their clients with the best market intelligence for aircraft sales pricing and correct acquisition expectations. On those rare no-aviation moments in my life, I love to take advantage of the Colorado outdoors, hiking and walking with our dogs. We have a home in Zihuatanejo, Mexico, and always enjoy those visits. We have taken a Montana road trip with the family for 26 years and have some incredible family time on the lake. Speaking of dogs, please take a moment to click on the Golden Button located at the bottom of each of our website pages. I know you will enjoy that four-legged journey. My skills and role on our team extends into sales and acquisitions, business development, negotiations, contract business term review, regulatory concerns, import/export issues, pre-purchase inspection oversight and closings. I work extensively with other brokers, aviation attorneys, our clients’ in-house counsel and tax advisors, maintenance facilities, FAA and other aviation authority representatives around the world as well as with NBAA and other global aviation industry associations regularly. After years of experience, this has resulted in a large global pool of trusted industry resources consistently benefiting our clients. I have been involved in the creation of new flight departments and the closing of established ones and I have worked in this industry through two major economic downturns. Through diligent and focused effort we made our company stronger as we emerged from each. I have also been exposed to different experiences and cultures having studied abroad in during college in Kathmandu, Nepal and having lived in Houston, TX; Santa Fe, NM; Missoula, MT; Washington, DC and Boulder, CO. These experiences have provided me with a unique perspective that benefits our clients daily through my understanding and management of different personalities. 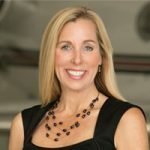 In addition to my direct work in our sales and acquisition projects, I am a regular contributor to our corporate blog, www.jetsales.com/blog. I am also a member of the National Business Aviation Association’s Business Aviation Management Committee and was one of two co-chairs of the 2016 & 2017 NBAA Leadership Conferences. And, I have served on multiple industry company Customer Advisory Boards including currently for Jet Aviation and participate I in multiple aircraft manufacturer’s events for industry leaders all of which continue to provide additional insight into the various aspects of our industry. Outside of work, I spend my time hiking with my dogs and friends, cooking and entertaining and traveling. Being in the aviation industry was always a dream of mine. As a young girl growing up in the Midwest, my family would pile into our camper and head off to visit different parts of the U.S. We visited the 48 contiguous states before I turned 18. In my early twenties, for a brief time, I worked as a flight attendant on commuter planes. I enjoyed the faster pace of getting around and all of the unique people I came in contact with, not to mention the incredible views from the sky. I joined the Mesinger team in 2003 as an account manager. Before coming aboard, I was working in the real estate industry as a licensed Realtor. I find myself wearing many hats as an account manager. With a strong background in office management and customer service, I am a true “people person.” I love talking with our clients and thoroughly enjoy the intimate environment of working at Mesinger Jet Sales and being part of this exceptional brokerage firm. I’m generally the key person answering the phones and sending a smile your way! I support everyone in the office in all aspects of our transactions, from new listing through closing. I work on creating and maintaining our aircraft specifications. I coordinate necessary paperwork, title searches, tracking inspection/maintenance progress and sending updates to clients as to the activity level and marketing efforts of their aircraft listing. I also assist with advertising and media placement. I handle marketing materials and advertising in aviation publications and on major aviation websites. I update and maintain all aircraft listings on jetsales.com, as well as several aviation websites and the two multiple-listing services, and I generate online campaigns tailored for our clients’ needs. When not at work, my passions include exploring this beautiful state that I live in with my husband of over 23 years, whether it be hiking, biking or skiing – as long as it’s outdoors! After graduating from UCLA, I went to live in London, thinking I would meet the Rolling Stones or Beatles. What I found was a career in accounting and returned to Los Angeles and became a CPA. I passed the CPA test in the top 4% of the country, thereby learning that hard work and discipline definitely pay off. I was one of the first women to work for Alexander Grant in the Beverly Hills office, a national CPA firm. This groundbreaking experience helped me to understand that I had to work a little harder than everyone else, which is how Mesinger Jet Sales has always worked. In the 18 years I worked in public accounting, my area of specialty was financial accounting, which included the preparation of financial statements for decision makers. We moved from Santa Fe, New Mexico, to Boulder, Colorado, in 1993. Jay and I decided my background in accounting and financial analysis would complement his aviation business, and we began our working partnership that has spanned more than 20 years. Now with both our sons working with us, the business continues to thrive and flourish. The other two members of our team, Ruth and Andy, have become an important part of the Mesinger family and contribute to the excellent work the entire organization does within the aviation industry. We also have two daughters; one works in the field of mergers and acquisitions and the other in design. Hiking with my dog, Louie, is my passion as well as being with my four beautiful grandchildren! I have also served on several boards, one being the board of the Museum of Contemporary Art in Boulder. Jay Mesinger discovered a passion for flying when he was in high school. In college, he learned he had a gift for business. In 1982, he combined his love for flying with his business acumen to create what is now Mesinger Jet Sales. Jay Mesinger discovered a passion for flying when he was in high school. In college, he learned he had a gift for business. In 1982, he combined his love for flying with his business acumen to create what is now Mesinger Jet Sales. 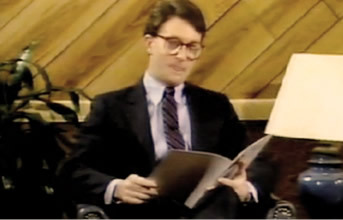 Mesinger began purchasing planes at age 22 in Houston. He took his boss to buy a plane at a Piper dealership. Soon after, Mesinger bought the struggling dealership, and within the first year, turned it into one of the largest Piper dealerships in the world. The dealership sold more Piper Navajos than anyone else, and as a result, won every award that Piper had to give. As Mesinger’s clients began to outgrow their Piper Piston Twins, he began working as a broker and his successful business evolved from there. Our firm has a history of innovation in aviation, leading the industry in what is always the most forward-thinking aviation-marketing and asset-management discussions. 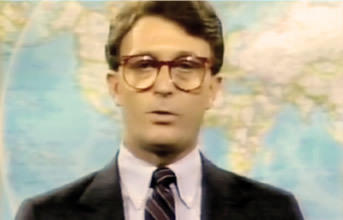 In the early 1980s, Jay created the first aircraft marketing video (view the video). Over the years, we have created a series of information tools, and Jay has penned his Aviation Leadership Roundtable articles featured in World Aircraft Sales Magazine for more than a decade. Jay regularly speaks on critical topics within our industry. 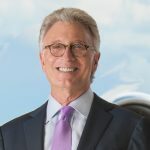 He is also the only aircraft broker or dealer ever to be on the National Business Aviation Association’s Associate Member Advisory Council, where he quickly advanced to be vice chairman, and then the chairman of AMAC. As both the vice chairman and the chairman of AMAC he also held a seat on NBAA’s voting board. His association with the board was the result of years of this forward-thinking innovation. We have been an industry leader, developing print and electronic branding and aircraft marketing campaigns since the mid-1990s, drawing the tremendous attention to our clients’ aircraft sales and acquisition projects. 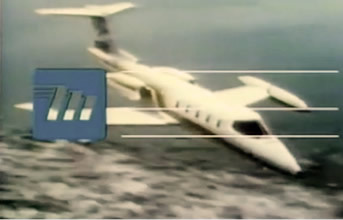 We bought the name www.jetsales.com before we really understood the potential of the World Wide Web. Here is a link to see our first website that launched in December, 1996 (view the website). Today, we also write blogs and produce videos to best tell the stories about our projects, setting them apart from the competition in a crowded marketplace. As has been true throughout our long and successful history, we continue to believe that the structuring of the right group of people with talent in all areas of the transaction remains paramount. We succeed because our close-knit group works together to provide the greatest insight and intelligent advice to our clients. Because we work as a group and not individuals, we are readily available to our clients and prospective aircraft buyers. This approach consistently benefits our clients day in and day out. We look forward to showing you how we can add the greatest value to your sales or acquisition project.